GraceConnect » Getting It Right, Again! The tension in the room was palpable. Spread on the table before us were the Statements of Faith of the Grace Brethren Churches of the Central African Republic, Chad, Cameroon, and Nigeria. 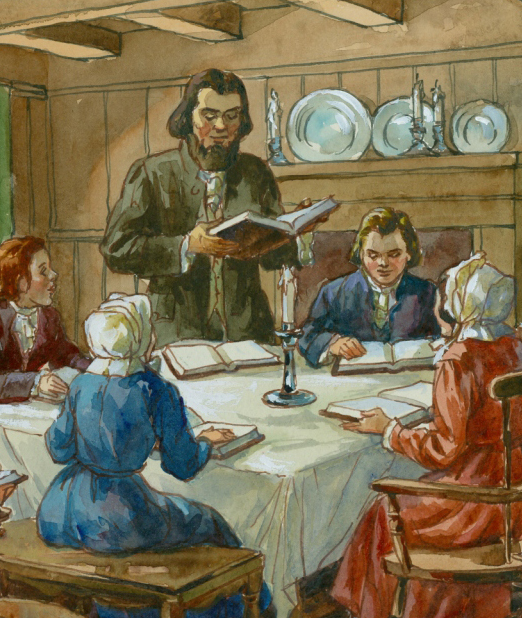 Seated around the table were the presidents and secretaries who represented those churches. It was November 2013, and joining with us in Yaoundé, Cameroon, were Charis North American Representative Keith Shearer and Africa Regional Director Frank Puhl. For most of the day, we had discussed the growing role of Charis International as a fraternity of churches and leaders representing our global movement. We reflected on The Charis Commitment to Common Mission, adopted in 2008 at Bad Homburg, Germany, and we celebrated its positive impact on our churches. But the primary reason for gathering that day was to begin laying the foundation for the next Charis International Leadership Meetings (Oct 2015). We are currently engaged in a global discussion that will culminate in an historic moment: for the first time in our 300-year history, delegates representing our churches from around the world will be invited to help define a fresh expression of our doctrines and practices. This is a moment to rejoice! The hard work and sacrifices of our cross-cultural workers are bearing fruit! With Grace Brethren Churches in at least 24 countries, we are now a global movement. Charis International provides the platform for leaders from around the world to join us at the round table, where we can chart our future together! So why so much tension in the room? Did it come from the surprising discovery that all four counties were using slightly different Statements of Faith? After all, if membership in our global movement requires us to sign the exact same documents, how do we explain the fact that each country has developed along its own unique path? Section One. Covenant. The sovereign congregations which are members of this corporation are united in accepting the Holy Scriptures as the sole guide and authority in all matters of faith, doctrine and practice. Section Two. Statement of Faith. The Fellowship of Grace Brethren Churches has a corporate commitment to a basic body of beliefs founded on God’s revealed truth. The Statement of Faith is the current expression of a never-ending effort to clarify an understanding of the primary doctrines we accept (italics added). When we were first drawn together as a society… it had pleased God to enlighten our minds so far as to see that some doctrines, which we once esteemed truths were errors; and that others, which we had esteemed errors, were real truths. From time to time He has been pleased to afford us farther light, and our principles have been improving, and our errors diminishing. Now we are not sure that we are arrived at the end of this progression, and at the perfection of spiritual or theological knowledge; and we fear that, if we should once print our confession of faith, we should feel ourselves bound and confin’d by it, and perhaps be unwilling to receive farther improvement, and our successors still more so, as conceiving what we their elders and founders had done, to be something sacred, never to be departed from. In 1883, when the Progressive Brethren broke away and created a new fraternity of churches, they also studiously avoided any formal doctrinal statements. Dave Plaster describes this defining moment of our history as follows: “When a very simple statement was proposed at the beginning, someone moved the New Testament as the substitute motion for the statement of faith, and they voted by unanimously singing the doxology together!” Once again, our forefathers affirmed our commitment to Scripture, as well as our reticence to express our beliefs in any form that might become a creed. By 1892, however, our leaders were willing to recognize the need for a short document that clarified what made us different from other groups that also followed the New Testament. It was assumed that our churches believed the major doctrines held by other evangelicals, so they weren’t included in the resolution. Instead, the delegates approved a short list of statements that outlined what they called “divine ordinances.” These included baptism by trine immersion, feetwashing, the Lord’s Supper as a full evening meal, the bread and cup, and the holy kiss. Another clause reaffirmed our commitment to a “truly congregational” form of government. Click here to read more about the Message of the Brethren Ministry and the FGBC Statement of Faith. So let’s admit that many of us feel more than a slight twinge of fear when we think about engaging once again in discussions about what we believe. Yet while the worst of our history might have surfaced in these disputes, is it possible that the best of our movement can be found there as well? With each debate, we came to the edge of a precipice, looked over into the abyss, and decided to move back to our historic commitment to the Scriptures above all else. More than any other distinguishing characteristic, I believe this is the genius of our spiritual forefathers – to submit to God’s Word while exploring fresh ways of applying it to God’s world. But something else has happened during the past forty-five years. We became global movement of churches! Current statistics reveal that more than 90 percent of Grace Brethren Churches and perhaps 95 percent of worship attendances are located outside of North America. And as I travel the world, I meet new Christ-followers worshiping alongside folks who consider themselves third, fourth, and even fifth-generation Grace Brethren! 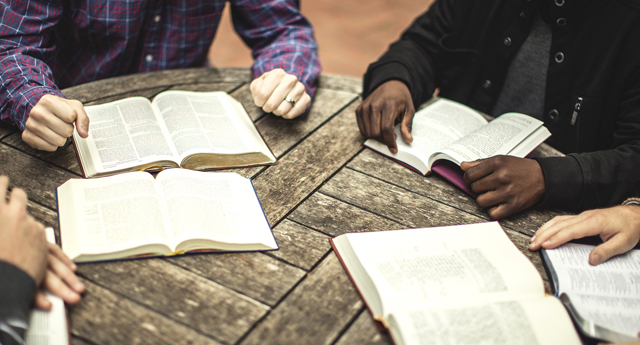 We know that our spiritual parents expected us to keep studying and keep improving our understanding of God’s Word. We must also believe that they intended this commitment to be equally shared among all of their spiritual descendants. So the first time in our 300-year history, we are creating the opportunity for the global Grace Brethren family to join the process! Other articles in this magazine will explain this process in greater detail. We began this article in a tension-filled room in the heart of Africa, where eight key African leaders were wrestling with feelings of being marginalized from one of the most important characteristics of our movement. I’m pleased to report that the tension soon dissipated as we explained the inclusive process of The Identity Initiative, and the goal of creating a Charis Commitment to Common Identity. How about you? Are you ready to join in regional and global dialogues destined to help write the next chapter in our ongoing quest to submit to God’s Word while engaging God’s world? Read Truth That Builds Bridges. Meeting for the first time in October 1994, representatives from Grace Brethren Churches around the globe agreed to name our movement Charis, the Greek word for grace. They believed it was a label that captured the best of our movement, and could be shared equally by all of our churches, irrespective of their primary language. See the Charis Commitment to Common Mission, at bit.ly/1oxylzU. See Plaster, David, Finding Our Focus, Winona Lake: BMH Books, 2003 and Scoles, Todd, Restoring the Household: The Quest of the Grace Brethren Church, Winona Lake: BMH Books, 2008. Both books are available at bmhbooks.com. Franklin, Benjamin. The Autobiography of Benjamin Franklin. (Dover Publications: Mineola, N.Y., 1996), 91, cited by Todd Scoles in Restoring the Household, p 173.